Peloponnese is one of the most beautiful and famous regions of the Greek mainland. The amazing region of Peloponnese is situated near Attica and historical evidence reveals that it has been inhabited since antiquity. Nowadays, it attracts many tourists all year round due to its incomparable beauty and to its worth-visiting monuments and museums. In particular, the eastern Peloponnese is astonishing; here are some of the best places to visit when there! Nafplio is one of the most charming towns in Greece and although it attracts many tourists all year round, it manages to retain its picturesque beauty and peacefulness. It was the first capital of Greece, after the start of the Greek Revolution in 1821, and remained so until 1834. When in Nafplio, visit the stunning Palamidi! Palamidi is a fortress that one must ascend more than one hundred steps to visit. The view from the top is absolutely breathtaking, as you can unobtrusively marvel at the magnificent Argolic gulf! This fortress has eight bastions and its architecture is of baroque style. Situated in the middle of Nafplio’s harbour, there is a wonderful castle named Bourtzi. 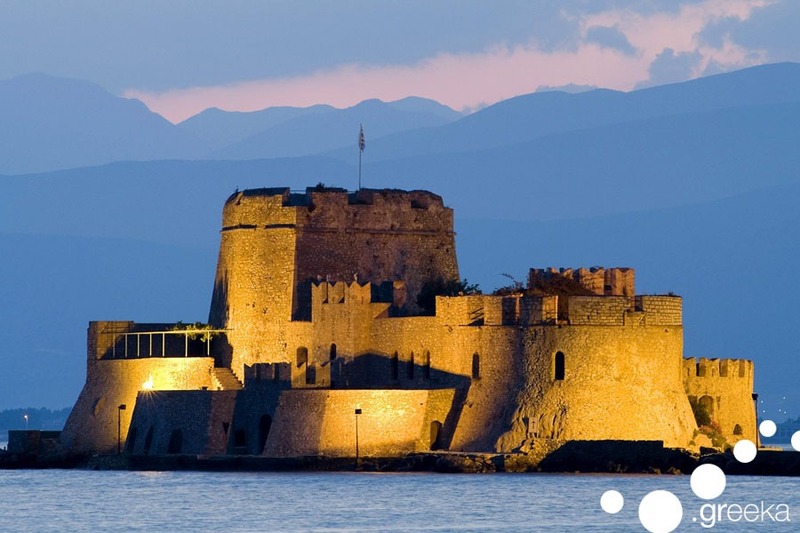 This splendid castle was built in order to protect the residents of Nafplio from pirate attacks. Porto Heli is a lovely seaside town located on the eastern Peloponnese and is one of the hottest holiday destinations in Greece. It is cosmopolitan and many Greek and international celebrities visit it every year. When in Porto Heli, you should try diving and while doing so, you should really explore its submerged city which has ancient fortifications, called “Halieis”. Located near Porto Heli, lies the world-famous ancient theater of Epidaurus. Many ancient Greek comedies and tragedies are staged in this theater which is world-famous for its acoustics. 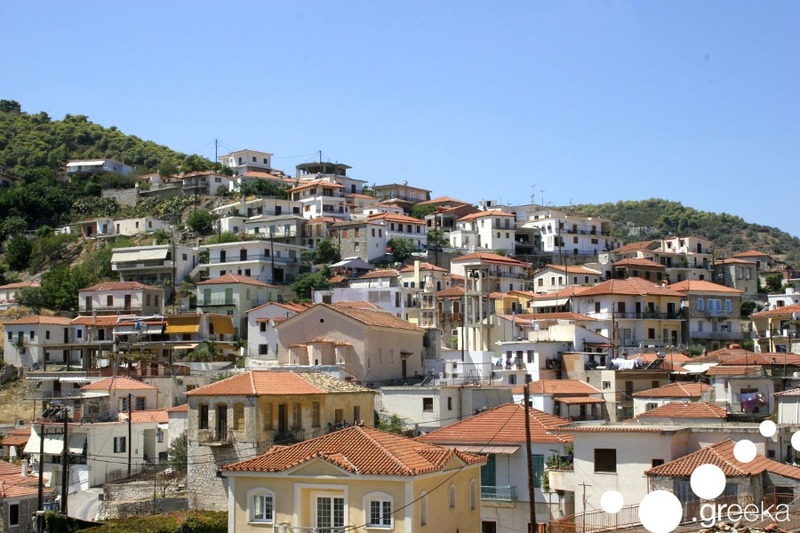 Ermioni is another great place to visit! It is peaceful and it has beaches with crystal-clear waters such as Kouverta. If you decide to visit Ermioni, you should definitely visit “Katafiki” canyon, which according to Greek mythology is the entrance to the Underworld and additionally, the temple of Poseidon and the “Spilia tis Vitorizas” in the beautiful area of Bisti. Last but not least, Mycenae is a must visit when on the Eastern Peloponnese. This ancient civilization which thrived in Mycenae influenced Greece’s history to such an extent that an entire era, called “Mycenaean” was named after it. According to Homer, Agamemnon was the king of Mycenae and the charismatic leader of the expedition which aimed at bringing Helen back from Troy. 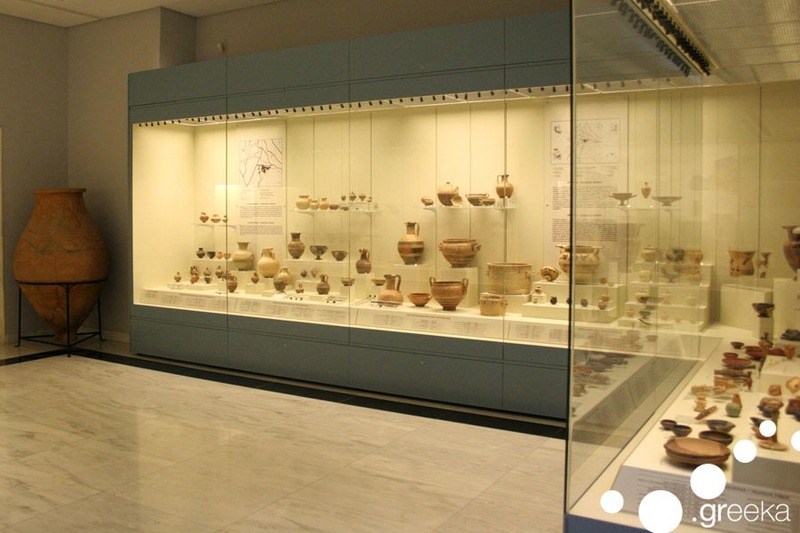 Nowadays, you can visit the archaeological site of Mycenae and of course the exciting archaeological museum that exhibits unique findings such as items used during war, jewelry and “eidolia” (small statues). © 2019 Greeka Travel Blog. All Rights Reserved.